The beautiful game is beautiful again. This isn't how September was supposed to end. All this year we've been saving our pennies for the enormous Destiny 2 Collector's Edition, expecting to bask in the warm glow of a thousand engrams for literally years to come. After the stodgy disappointment of FIFA 17, we barely expected to last a weekend with its successor. And yet here we are, staying up until the early hours grinding out results in FIFA 18 Ultimate Team while Destiny 2 lies uncompleted, the Leviathan raid left unexplored. What the hell has happened? The short answer, at least for us, is Squad Battles. We're Ultimate Team die-hards, barely touching the rest of the game, and EA has made some fantastic additions this year. After Squad Building Challenges breathed new life into the transfer market, this year's Daily and Weekly Objectives, and especially Squad Battles, now offer yet more reasons to keep checking in day after day, even if you hate playing against other people online. Squad Battles is kind of genius. You play against squads created by other FIFA players, choosing a difficulty level to compete against them. So far we've had squads from the likes of Thomas Muller, whose line-up included Maradona, Pele, Messi and Ronaldo, and judging which difficulty to attempt and whether to use your valuable loan players is tricky. It sounds like the Team of the Week challenge, but instead of just earning more coins for harder-fought wins, you now earn Squad Battles points, and these contribute to your rank. 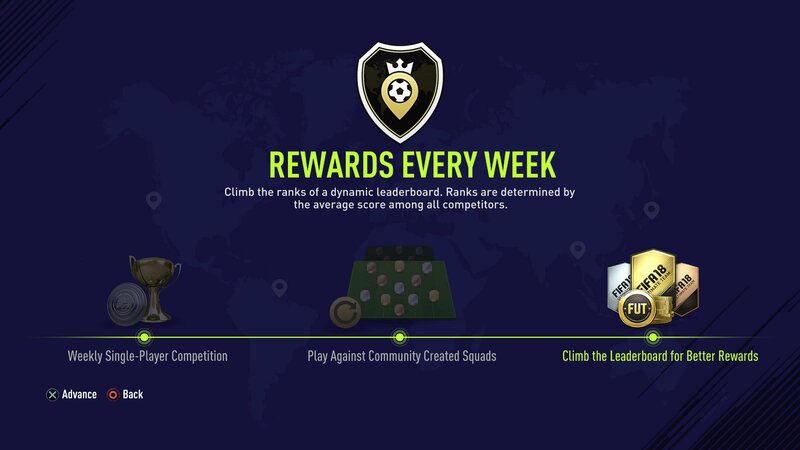 The number of points needed to stay at that rank fluctuates over the week based on how the entire player population is doing against each rotating set of squads, and every Monday you gain rewards based on your final ranking. This week, we picked up a couple of jumbo premium gold packs and loads of coins for placing Gold 3. With a new set of four squads to play each day (and eight per day at the weekend), you've got to stick with it to win big. Add that into the mix alongside the returning Squad Building Challenges, FUT Draft, FUT Seasons and all the other components of EA's maddeningly addictive team-building mode, and this may be the best year for Ultimate Team in quite some time. With the expiration of Microsoft's "Legends" exclusivity deal, you can even hold some hope of bagging yourself a classic player - now called "Icons" - on PlayStation or PC. If the five-match loan Brazilian Ronaldo we received with our pre-order bundle is anything to go by, they are insane. Of course, none of this would matter for long if FIFA 18 couldn't improve things on the pitch, because FIFA 17 felt pretty disappointing. In an effort to balance attack and defense, EA created a brutal war of attrition, where keeping the ball for longer than a few seconds in the opposing half was painstaking work and your team could practically defend without input. Long-range shots and crossing were pitifully useless, and we soon lost patience. FIFA 18 is a bright new dawn. Almost everything we disliked about FIFA 17 is different. It feels much easier to keep the ball, and passing feels fast and precise again. Crossing has also received a massive boost, so there is finally a good reason to make for the byline, where even a journeyman winger will be good enough to whip in a sizzling cross that cuts across the defensive line in search of a striker's forehead. The option to easily play a low cross now by holding the right bumper and hitting the cross button, rather than tapping the cross button multiple times, also helps, and the revival of the touchline means it all feels a bit more comfortable out wide again, creating even more space rather than driving all 22 players into the center. It also turns out that nerfing defense is the best way to buff attack. You could phone in your defense last year, but this year you'll need to pay close attention to make judicious use of the improved standing tackle to avoid being opened up. The chances are that you won't succeed most of the time, though, and you'll concede more goals from range and watch your highly rated defense sliced apart time and again. Fortunately it cuts both ways. We've lost track of the number of goals we've scored from outside the box this year, or from crosses converted through towering headers and net-busting volleys, even against tough opposition. 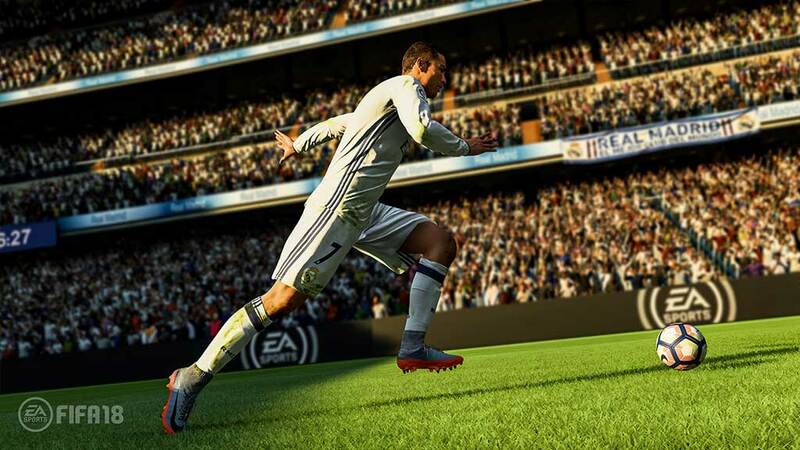 Elsewhere FIFA 18 is as polished as we've come to expect, and feels every inch the multi-hundred-million-dollar production it has become. 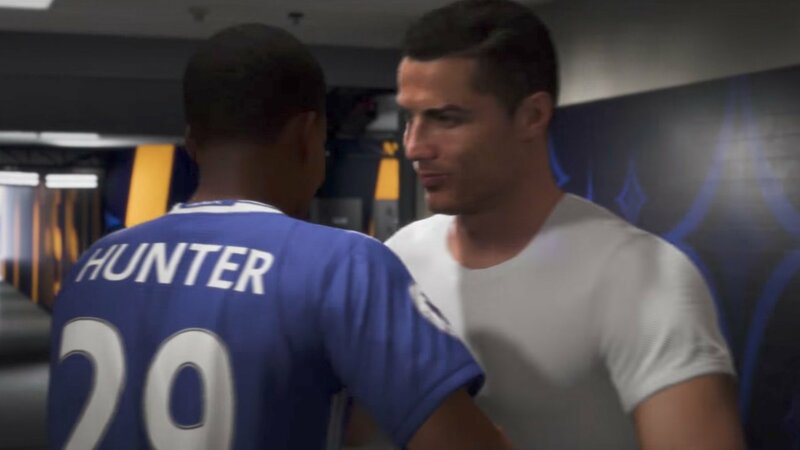 Nowhere is this more evident than in the second season of The Journey, FIFA's new story mode, in which Alex Hunter continues his adventures in club and international soccer. The Journey was one of the few highlights of FIFA 17, and this year's story is equally enjoyable. 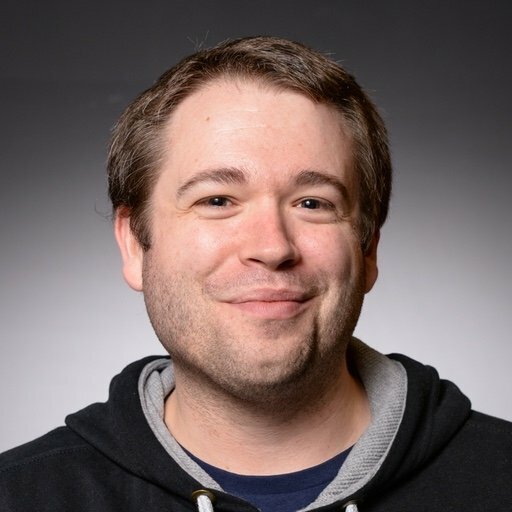 The writing remains strong and you can feel EA's designers learning as they go, creating more interesting scenarios as they strive to create player agency within the limitations of a scripted experience. The rest of the package is equally deep and engaging. Visually and aurally FIFA 18 remains fantastically competent, with convincing likenesses, sumptuous animation and another great soundtrack, and if you fancy a change of pace you're spoiled for ways to change it, including endless training mini-games. We really wish these could be tied into Ultimate Team somehow, because we'd love to earn coins playing 2v2 with mini nets or by beating high-score advanced shooting challenges. There are a few things EA should look at in the future, mind you. Ultimate Team still exists in the slightly uncomfortable guise of a premium game mode in a full-priced game, and while we've all made our peace with that in general, EA could be a little more generous in certain areas without killing the goose that lays the golden eggs. How about giving us longer loan periods for high-end cards, for one thing? Five games is pretty miserly considering it's the only way most of us will ever play a game with Ronaldo on our team. And after introducing women's international teams in FIFA 16, EA has done surprisingly little to bulk out women's soccer in 17 and 18. In total we've had three more international teams at a time when women's soccer has never felt more competitive or more popular. Where are the club sides? Where's Ultimate Team? Where are the Icons? Imagine FIFA 19 pre-orders coming with Mia Hamm and Eniola Aluko as well as Ronaldo and the other usual suspects. The Journey could be amazing if it focused on the women's game, too. There are things EA can still work on, then, but overall FIFA 18 feels like a great step back in the right direction. Pro Evolution Soccer still offers an entertaining alternative, and if that's your current tipple then we don't blame you, but if you typically play FIFA and found yourself turned off by last year's installment, make sure you give the demo a try and see what you think. Now if you'll excuse us, we've got Squad Battles to grind.